Welcome to the Church of England parish of All Saints, Thorp Arch. All Saints Church is mentioned in the Domesday Survey of 1086 and was re-built in the Norman style in the 12th Century with further re-building in the Perpendicular style in 1485. The last major restoration of the church was in 1871/72 when it was restored in the Medieval Style, the architect being George Edmund Street, a leading architect in the Gothic Revival. 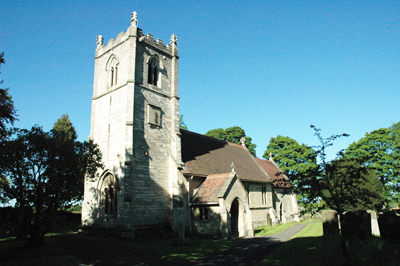 All Saints is situated on high ground a quarter of a mile north-east of the village, and is part of an informal grouping of five parishes in the Diocese of York, known as the Lower Wharfe Group of Parishes. We have our own church school, Lady Elizabeth Hastings C P School, and a number of shared resources within the group for our younger members.